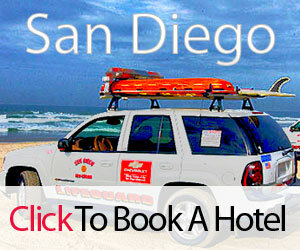 San Diego Hotel Deals may include a variety of features, such as discussion forums, blogs, photo- and video-sharing pages, email services and social networking features that allow feedback to us and allow users to interact with each other on San Diego Hotel Deals and post content and materials for display on San Diego Hotel Deals. In addition, San Diego Hotel Deals solicits information from hotels and businesses in order to provide this information to our users. This Site also may include other features, such as personalized home pages and email services, that allow users to communicate with third parties. By accessing and using any such features or submitting photos and business information, you represent and agree that you are the owner of any material you post or submit, or are making your posting or submission with the express consent of the owner of the material; that you are making your posting or submission with the express consent of anyone pictured in any material you post or submit, that you are 18 years of age or older; that the materials will not violate the rights of, or cause injury to, any person or entity; and that you will indemnify and hold harmless us, our affiliates, and each of our and their respective directors, officers, managers, employees, shareholders, agents, representatives and licensors, from and against any liability of any nature arising out of related to any content or materials displayed on or submitted via San Diego Hotel Deals by you or by others using your username and password. You also grant us a license to use the materials you post or submit via such features, as described above." Responsibility for what is posted on discussion forums, blogs, photo- and video-sharing pages, and other areas on San Diego Hotel Deals through which users can supply information or material, or sent via any email services that are made available via San Diego Hotel Deals; lies with each user and you alone are responsible for the material you post or send. We do not control the messages, information or files that you or others may transmit, post or otherwise provide on or through San Diego Hotel Deals. You understand that we have no obligation to monitor any discussion forums, blogs, photo- or video-sharing pages, or other areas of San Diego Hotel Deals through which users can supply information or material. However, we reserve the right at all times, in our sole discretion, to screen content submitted by users and to edit, move, delete, and/or refuse to accept any content that in our judgment violates these Terms And Conditions or is otherwise unacceptable or inappropriate for this website, whether for legal or other reasons. You acknowledge and agree that we may preserve content and materials submitted by you, and may also disclose such content and materials if required to do so by law or if, in our business judgment, such preservation or disclosure is reasonably necessary to: (a) comply with legal process; (b) enforce these Terms And Conditions; (c) respond to claims that any content or materials submitted by you violate the rights of third parties; or (d) protect the rights, property, or personal safety of our Site, us, our affiliates, our officers, directors, employees, representatives, our licensors, other users, and/or the public.